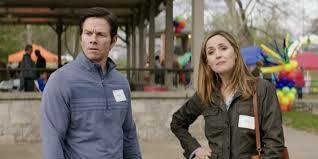 There is a new movie that has been in theaters for several weeks called Instant Family Staring Mark Wahlberg. My wife and I just saw it today, and in a word, the movie is fabulous. As a disclaimer from the very start, my wife and I adopted our son Nathaniel in 1989. He came home with us on December 26 of 1989 and a few short months later, the court decreed him as our son, and we as his parents. We know all too well the issues that come with adoption, issues related to long term acceptance for the child and issues as the child deals with those issues and others for the parents. These issues don't last just for a short while, but seemingly for the life and duration of the life of the child and the life of the adoptive parents. Now in the adoption process, let me make something clear. The child who has been adopted becomes as much a part of the family as a child who was born into the family, we know this to be true because we have a daughter born in 1981. While our love for our two children is different, they are both our children, just as much as if both had been born naturally within our family. We love one just as much as the other and always will. Not to make excuses for actions of any child, but unfortunately, just as seen in the movie, there are those in families who sometimes due to a lack of understanding of the concepts related to adoption. If you haven't picked up on it, that is the themes of this movie starring Mark Wahlberg as Pete and Rose Byrne as his wife Ellie. They portray a real couple who was involved in a home improvements type of vocation where they take older houses, flip them and sell them for profit. They realize they are ready for a family and through the Foster Family process (a whole other set of issues which arise through this process) look at the possibility of adoption. Their experiences are displayed on screen as the couple decides to take into foster care 3 siblings with a Hispanic background. As the family begins to bond, they realize their desire to adopt the children. Among the supporting cast are the children, Isabela Moner who plays a difficult 15 year old Lizzy, and her two small siblings Gustavo Quiroz and Julianna Gamiz who play brother and sister Lizzy and Juan. There are issues with each child and difficulties for the adoptive couple relating to all three children, especially the older sister Lizzy. 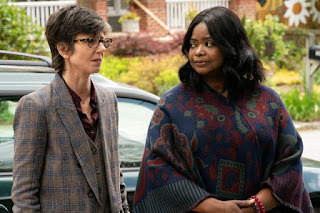 The agency team of Octavia Spencer as Karen and Tig Notaro as Sharon provides some comic relief and a representation that even within agencies there is not always agreement. That is important for this film as it never forgets to present the important thing in the adoption process is the children. There are some who come from strict religious backgrounds who may have issues with this movie. Instant Family follows a group of foster parents in training as they are all looking at adoption, including single parents, a religious family and a gay couple among others. I felt the movie presented a loving and thoughtful presentation about what all prospective parents go through, including adoptive parents from varying backgrounds. Again, the emphasis is on the children and the film is quite educational in the process of adoption as well as the things that families deal with after the process, especially those that go through the foster care system. The truth is this movie has its moments where you may need a few tissues. It is emotional, but in a good way. I challenge especially adults who are contemplating adoption to see the movie, in fact I would encourage anyone who knows a family who has adoptive children to see the movie. From an adoptive parent, I will tell you it is quite accurate and in many situations, it is even more difficult than the things we see on screen. There are however, in this life, heroes who have gone out of their way to show a child in need of adoption that they can in fact be loved and brought into a family. It may take time for understanding to take place but with time, and love, it can take place. One of the things I was reminded of is how God puts families together and I couldn't help but reflect on the passages in the Bible that talk about how God has adopted those who follow Christ into the family of God. I loved the Wahlberg character because although he has issues at time, his love for the children is never really flinching and there are times that we see his willingness to stand up for and be protective of the children, even in ways that may bring about harm to others. I can't help but think that in some ways, God is like that with those He calls his children. In those situations, we can all experience the feelings of love that comes from a Heavenly Father. I know that for me, in my life, I have experienced those things and am grateful for them. I only hope that for the duration of my life I can display this type of love to my children, including my son, who is as much a part of me as my daughter. It's kind of hard to explain, but thankfully there are movies like this that can, and do show, the ability to love even those where there may be issues and difficulty.That ability to love others, despite differences, seems to me, to be a theme that we can all learn from with the events and attitudes in today's world. On a scale of 1 - 10, for the two loving parents and the numbers in the word instant, where they became two that had an instant family, I give a well deserving, enjoyable 9. BE ON THE LOOK OUT FOR OUR NEW CHILDREN'S BOOK, HAROLD THE ANGEL, NOW AVAILABLE AT AMAZON, BOOKS A MILLION, BARNES & NOBLE AND OTHER MAJOR RETAILERS, OUR BOOK THE KEYSTONE KID IS ALSO STILL AVAILABLE AT MOST MAJOR RETAILERS AND IS A TERRIFIC READ. The Virtual Pew and our other work is supported solely by the kind contributions of others. You can click on the donate button below to give any amount to this work that does so much more than just post articles on the net; I draw no ongoing salary from the church I pastor, Mosaic Wichita which is predominantly a homeless church; I am grateful for any small amount you can contribute to help with this ministry. Believe me, there is much more going on than most realize. I will also provide information to verify the ministry and income that comes into this ministry and work. Thanks and feel free to share any material from The Virtual Pew, I only ask that appropriate credit is given and a link to the original site with the materials provided. You can also order the book at all major retailers, including Amazon, Barnes & Noble and so forth. It is available via e-book for .99 Cents or if having a way to download, can download the full audiobook at soundcloud.com and simply going to Mike Furches / The Keystone Kid. The audio version of the book is available for a free download. There are hundreds of postings so make sure to check out the archives. You can also contact me for a free audio book link of The Keystone Kid at mike@furches.org You can visit http://www.thevirtualpew.com/. Hopefully, you will consider a gift to The Virtual Pew. I certainly thank you for your support of this work over the years and as things grow and get bigger and better, we want you to know, we will continue to listen to you and appreciate your input and views. We also encourage you again, to please subscribe to our other blog pages and our pages regarding The Movie Guys. To see the review for Breaking In and Deadpool, click on the link and video below. Welcome to my review page. You will find reviews for everything from books to music, but especially movies. Enjoy the page and don't forget while you are at it to check out all of the other blogs I do as well as my web site www.furches.org and www.thevirtualpew.com where you will find message boards that have open discussion about all kinds of issues related to faith. Mike Furches heads up Mosaic Wichita &; The Virtual Pew, some say, the first Online Church. He speaks nationally on various topics & is a freelance writer. He has published a book on his life titled The Keystone Kid which has received rave reviews. The short film, The Long Walk is also based on the book. Mike’s ministry is to those often called The Last, The Lost, & The Least. To learn more his ministry visit www.thevirtualpew.com or www.thekeystonekid.org. Mike has worked with some top music artists and has an active interest in film. He is available for speaking on a various topics. Mosaic is a mission ministry seeking to reach those who have given up on church, or searching for spiritual truth. You can find out more about Mosaic by visiting Facebook or going to www.mosaicwichita.com Mike has also as of recent appearing on two weekly radio programs and 2 television programs. Starting early 2018, Mike will take over leadership and programming for the television show Real People Real Life and will also be hosting a weekly television show featuring movie reviews. One of the things that makes me different is that I try to respond to each person that contacts me. As a former pastor and counselor, I know what it means to have someone who will give a lending ear. I will gladly listen and respond to each person who contacts me, and try to do that on each posting. I am a real person, and promise to treat the reader as a real person as well, deserving of respect and love.